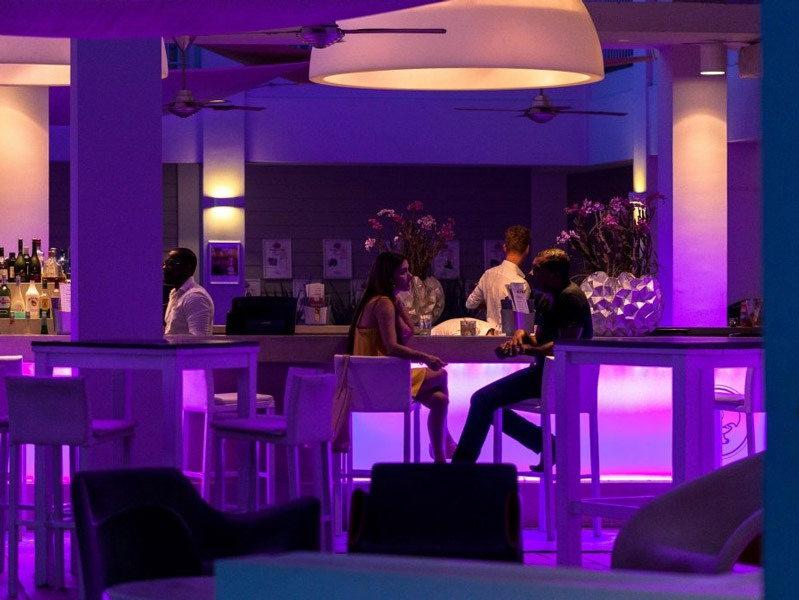 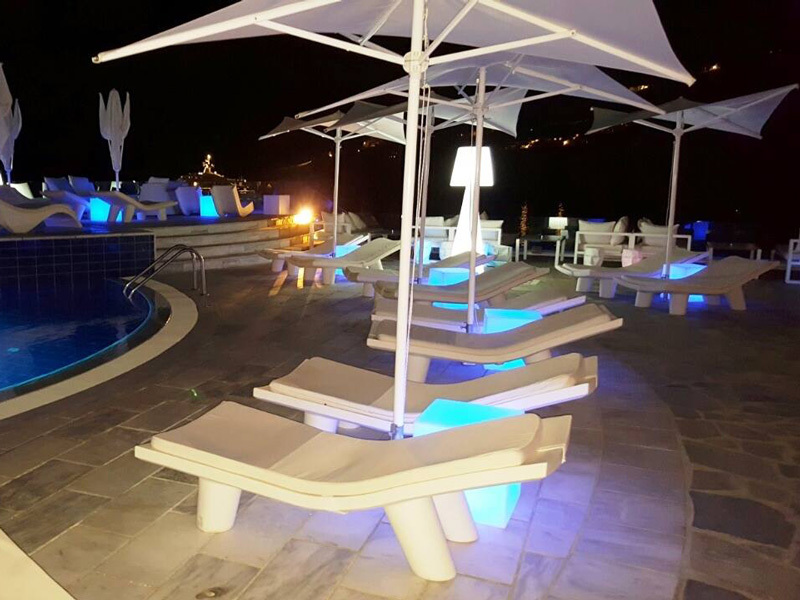 In the amazing Curaçao, SLIDE gives a touch of colours to the luxury hotel and resort. 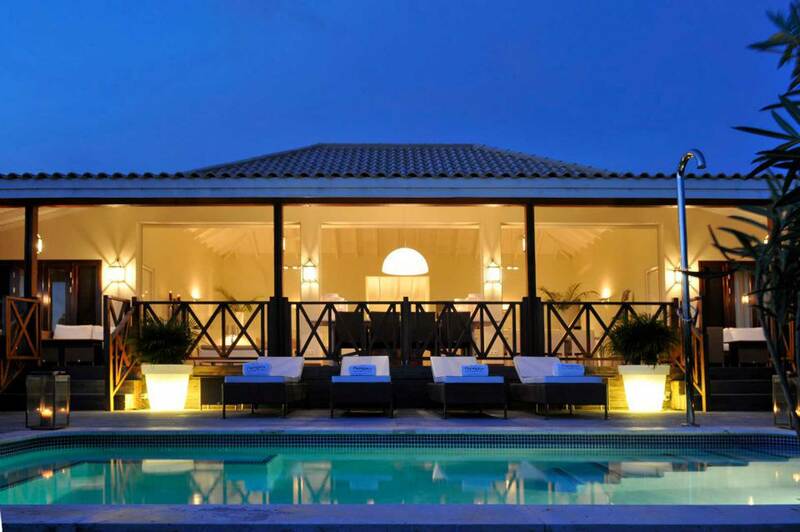 Papagayo Beach Resort and Hotel is located in the amazing Ducht Carribean Island. 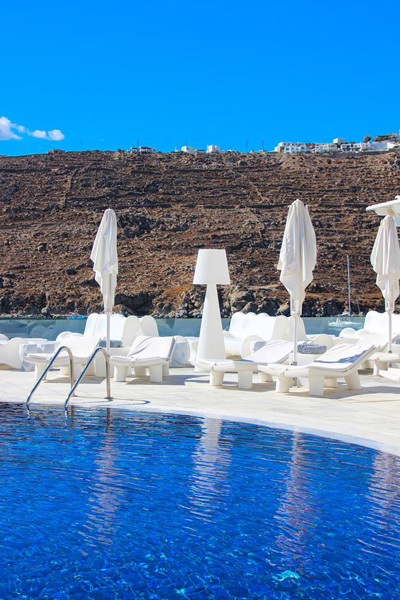 The unique natural landscape matches perfectly with the minimalist and contemporary furnishing of the hotel. 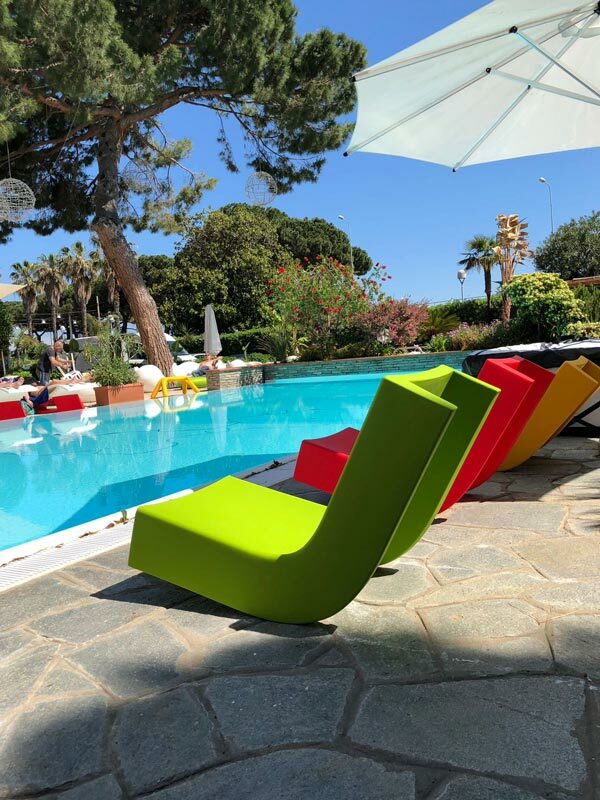 Slide gives the the perfect touch of colour and it makes the setting more impressive: the majestic Crown of Love in yellow and red colours are combined with our best-sellers Koncord stools in the same nuances. 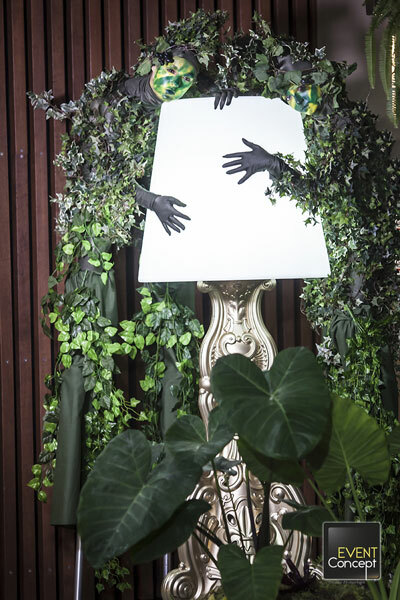 To light up the dining room, Bijoux, whose shape recalls the diamond, and Cupole, which enhance the elegance of the produc, are the ideal hanging lamps. 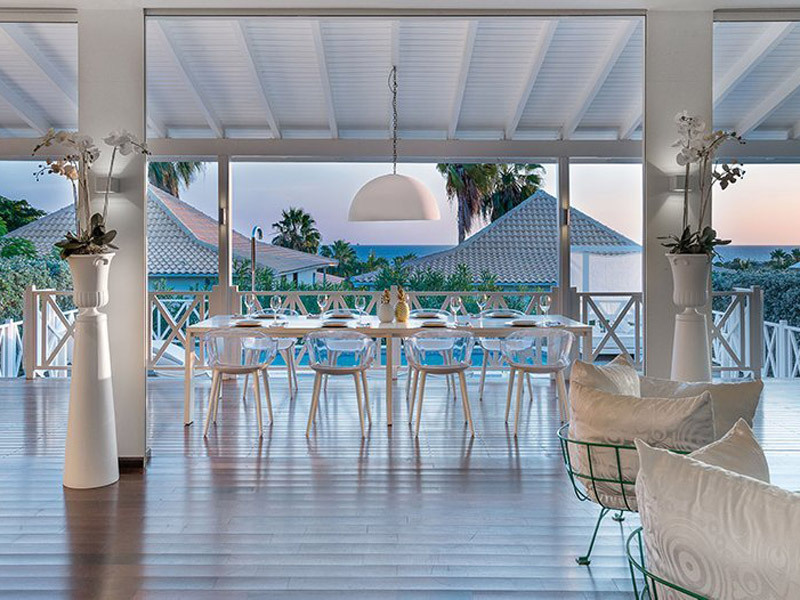 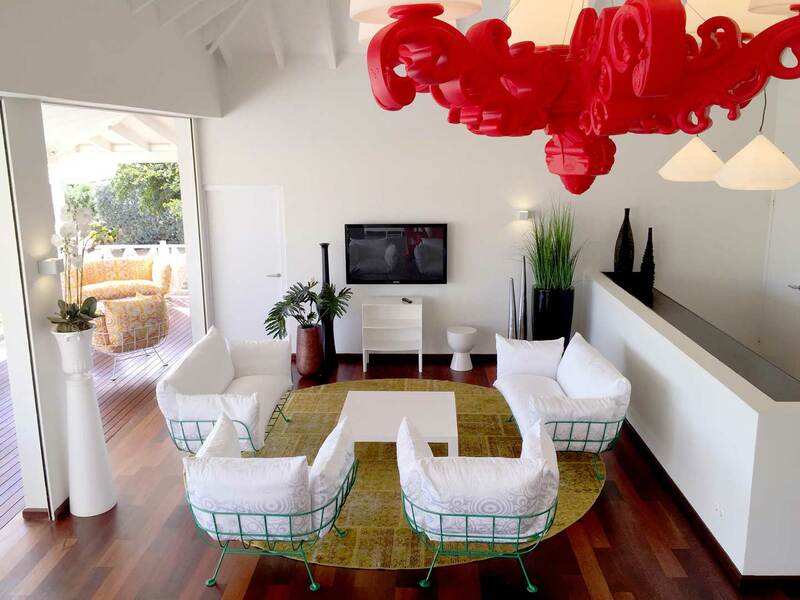 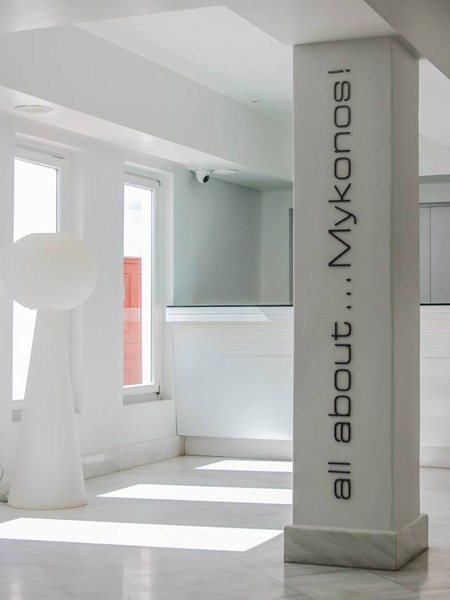 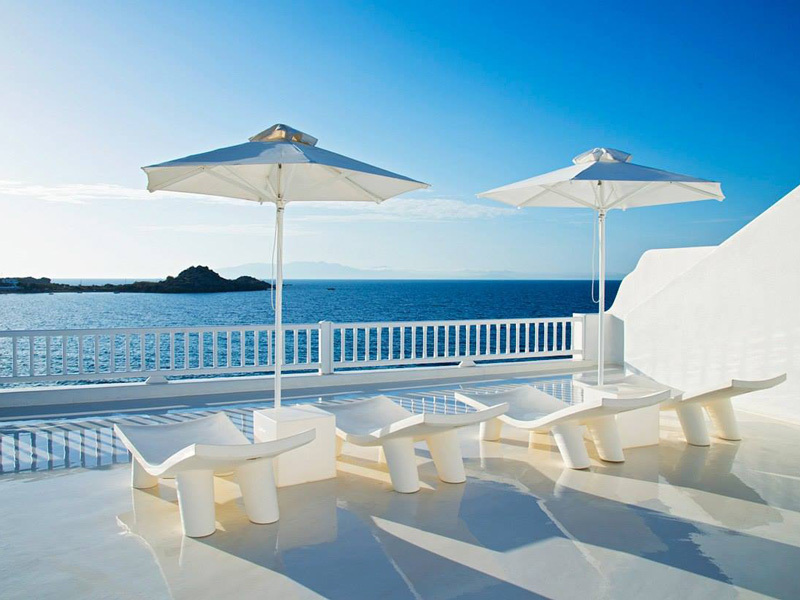 In Mykonos, Petasos Hotell Beach Resort & Spa chooses Slide furniture for its indoor and outdoor, in total white colour. 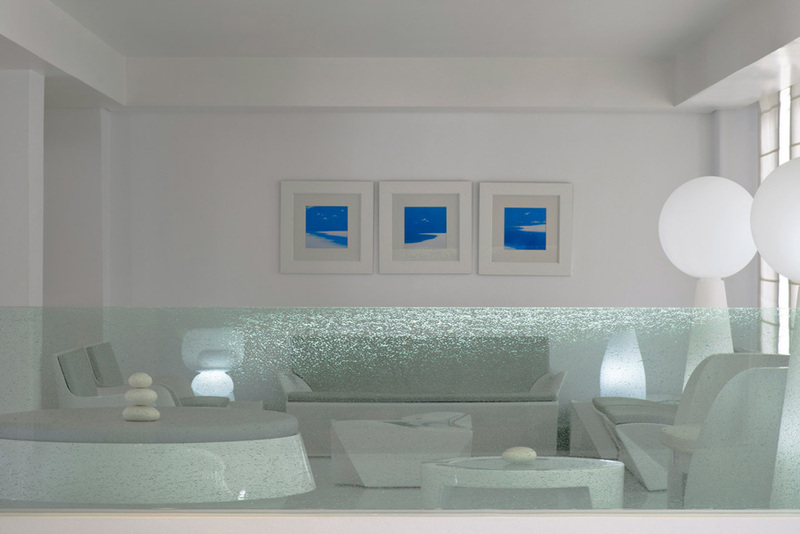 In the amazing Mykonos, Hotel Petasos Beach Resort & Spa chooses Slide products to furnish its outdoor and indoor, in a mix of best sellers and iconic products, realized in total white colour. 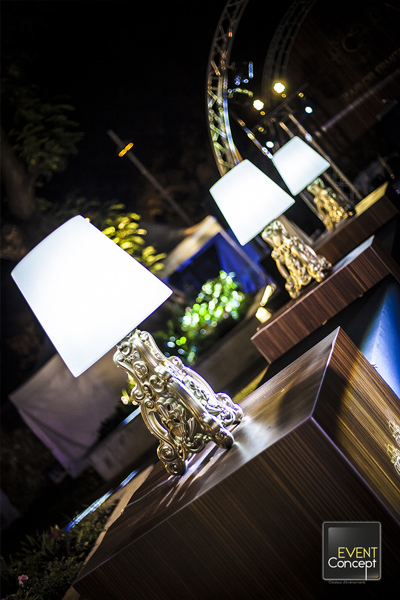 In the hall the elegant Kami collection by Marc Sadler is lighted up by our table and floor lamps. 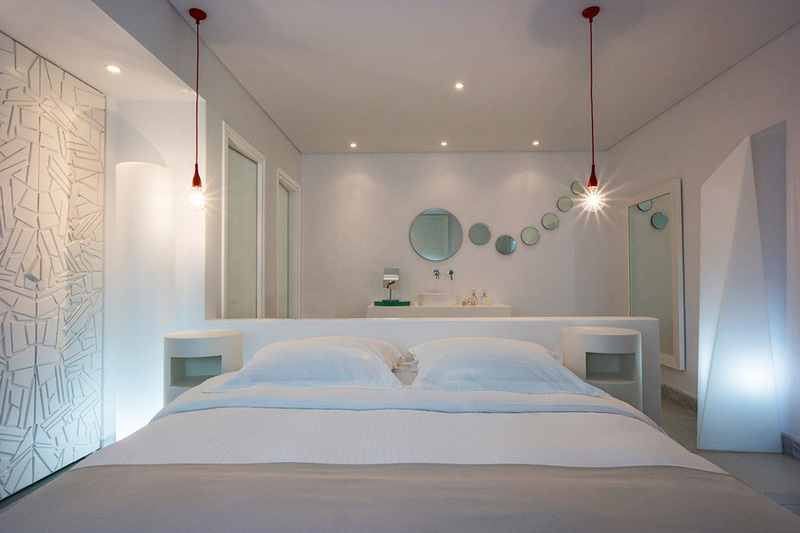 In the rooms, the elegance of Manhattan floor lamp gives a touch of design near the bed. 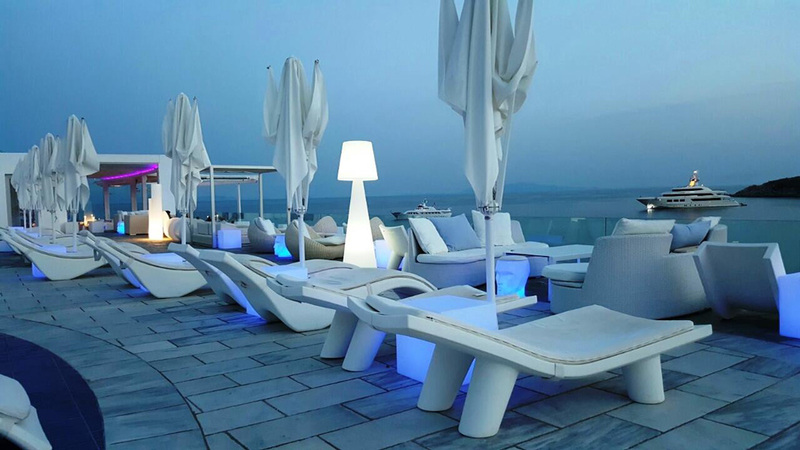 The outdoor is furnished by Low Lita Lounge sun lounger, matched with the Low Lita Table, the iconic luminous Cubo and Peak tables.. 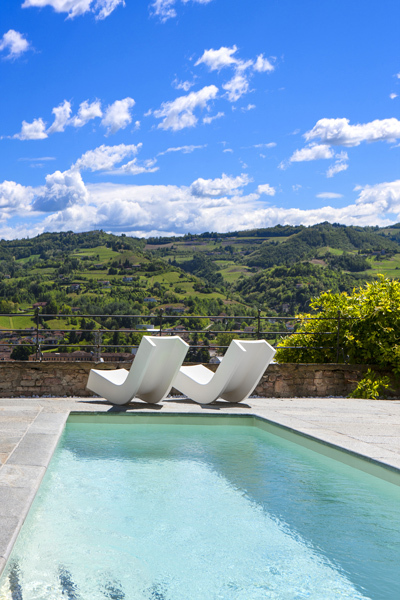 In Canelli, Piedmont, our Twist chaise-longues become elegant seats to admire the Unesco amazing landscape. 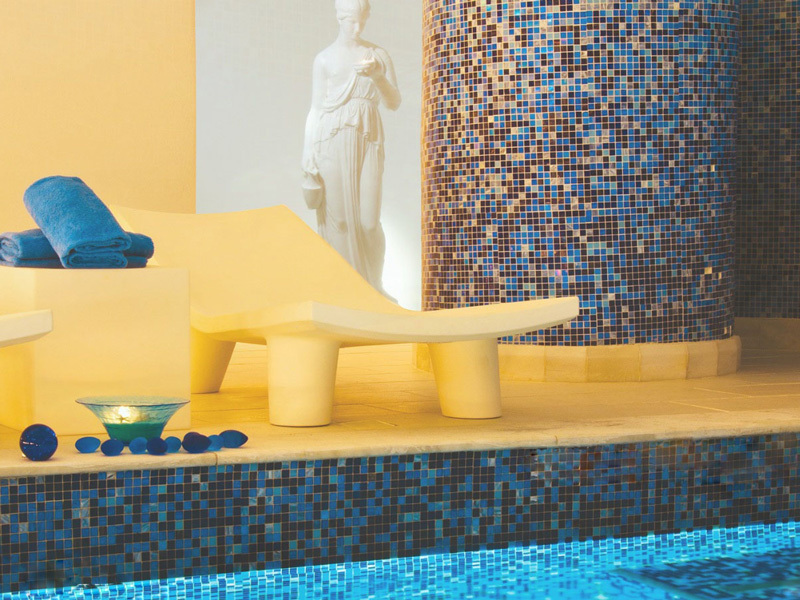 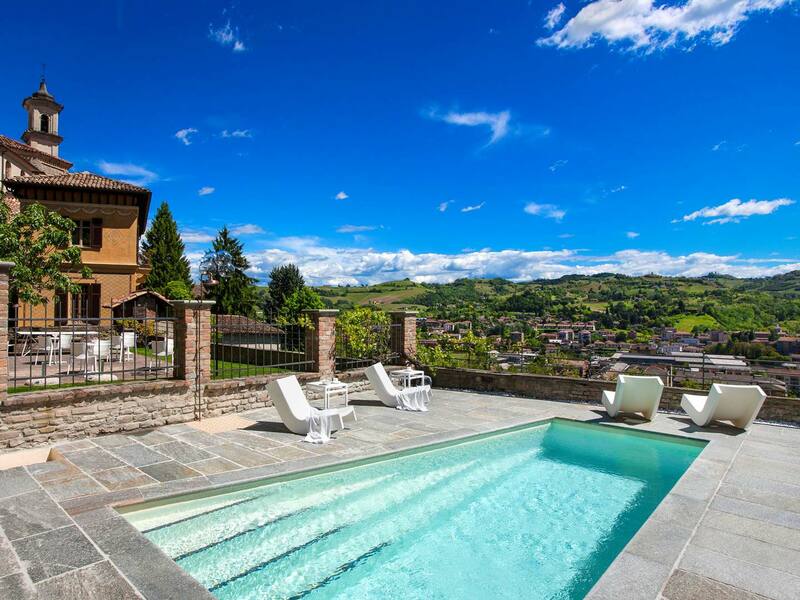 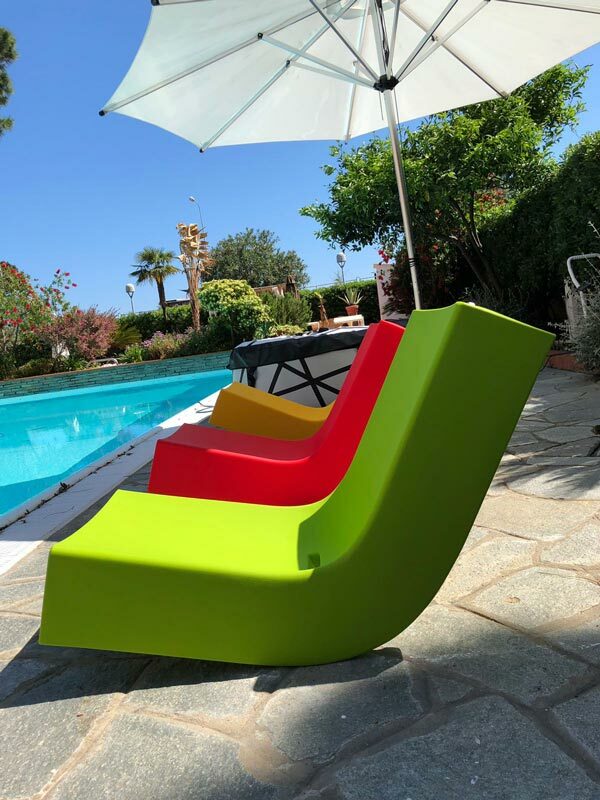 Relaise Villa del Borgo in Canelli has chosen our Twist rocking chaise-longue to give a touch of design to the pool area. 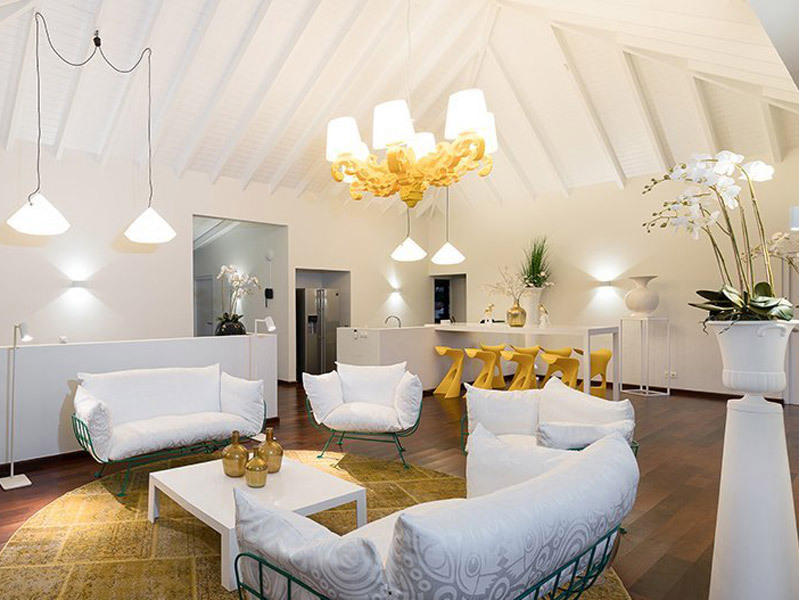 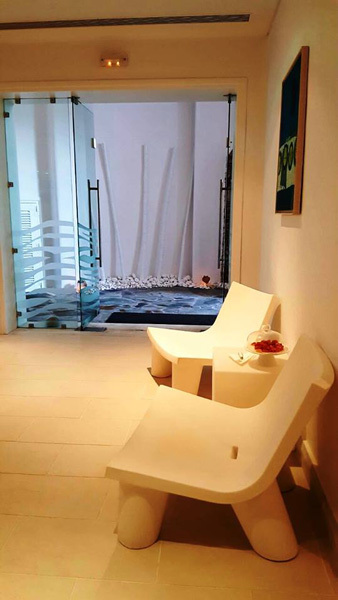 The white Twist chaise-longue are chosen to furnish the anciet house with contemporary design. 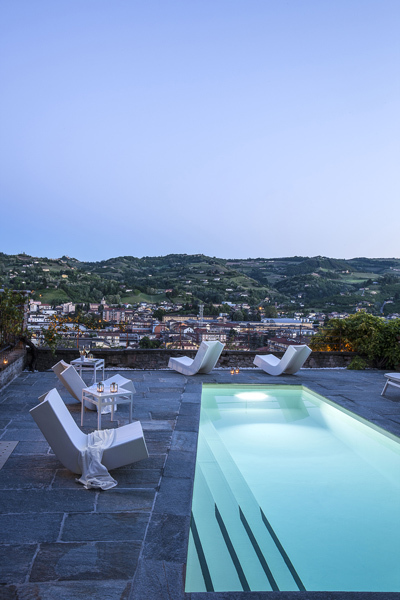 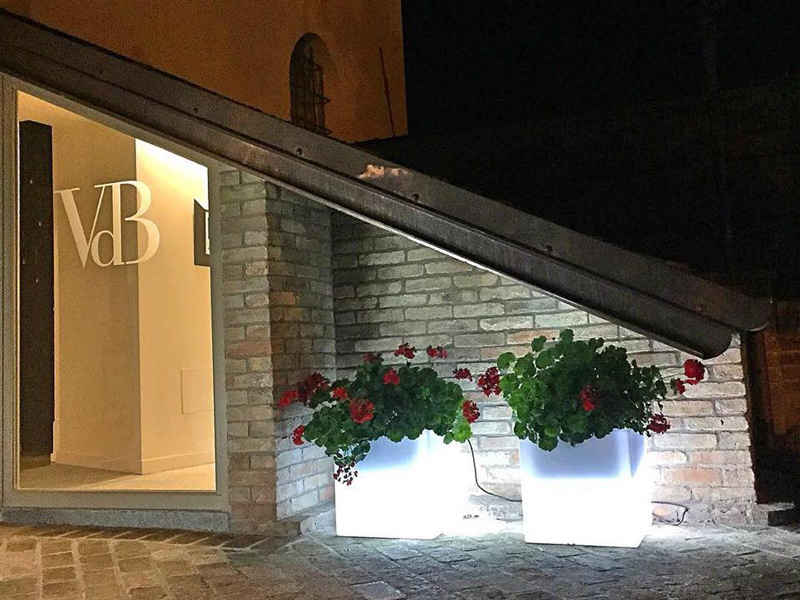 A true place of relaxation, from which to observe the panorama of the Piedmont hills and the ancient village of Canelli. 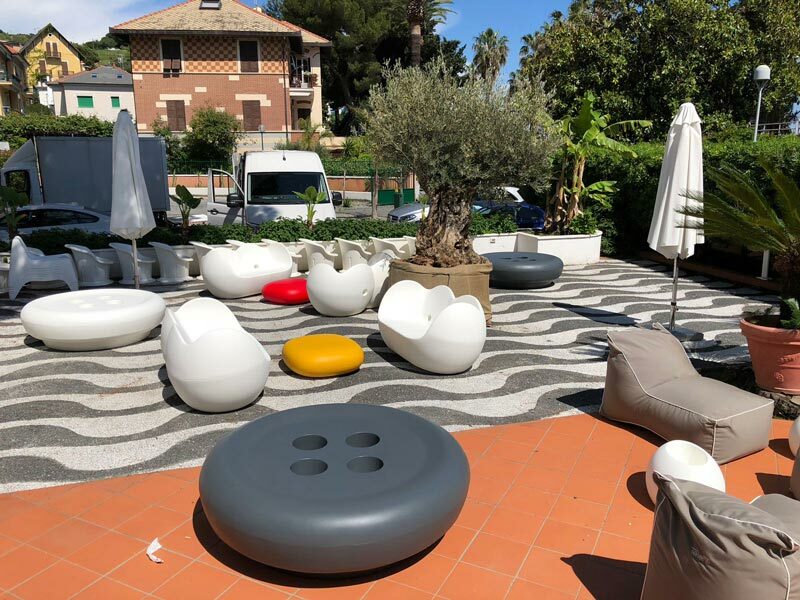 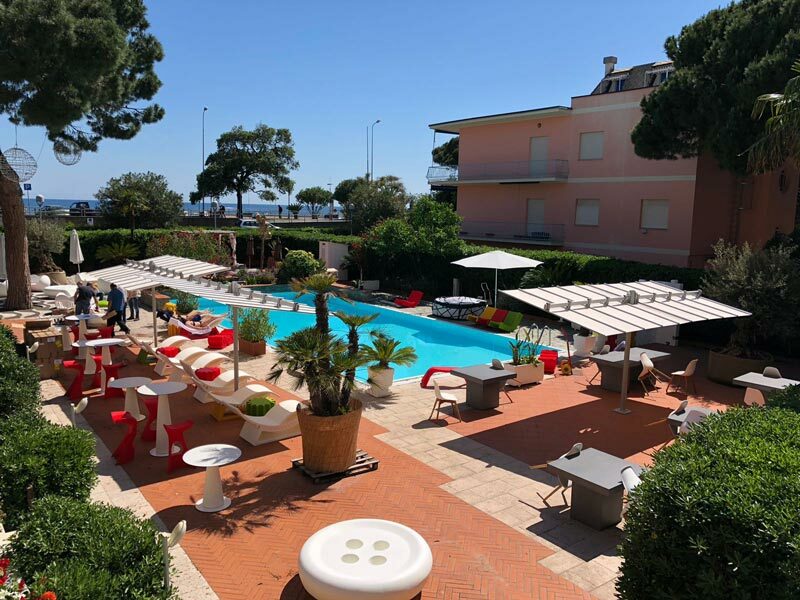 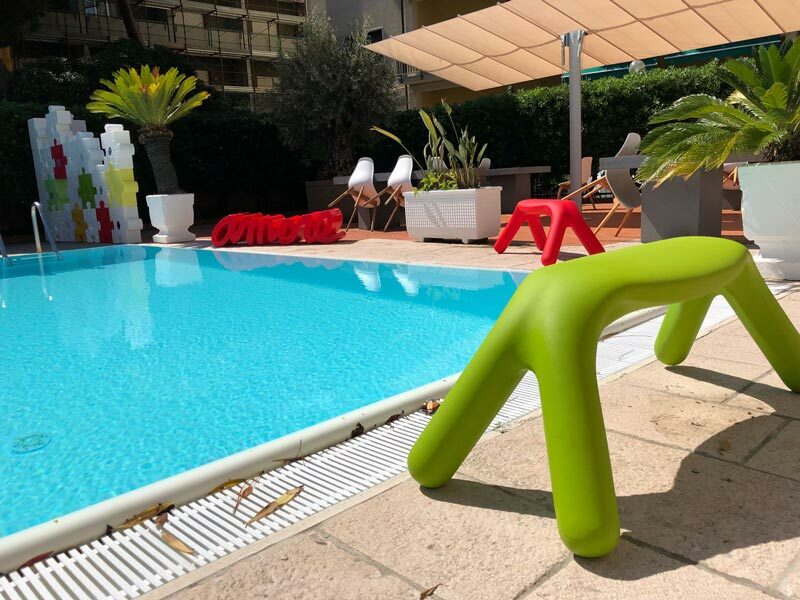 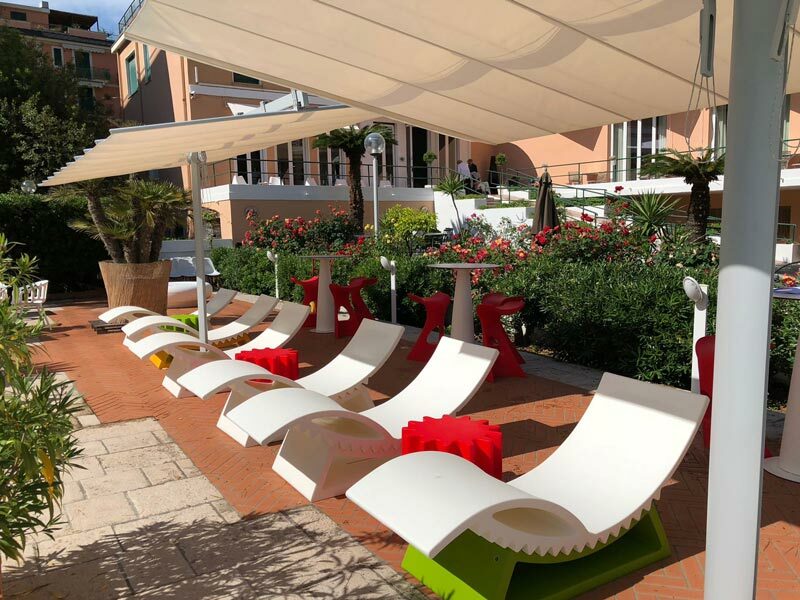 San Michele Hotel in Celle Ligure (Italy) chooses our colourful furniture to renew its outdoor, thanks to the project by Punti di Vista from Savona. 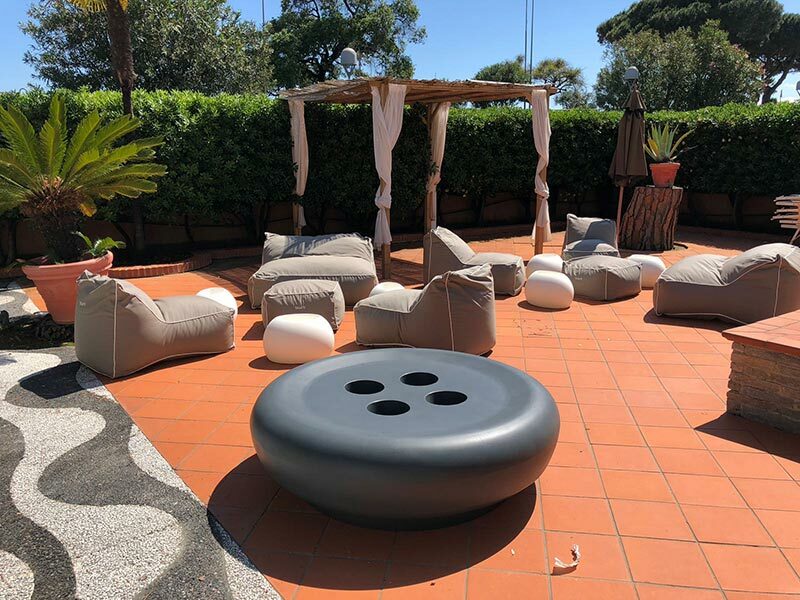 San Michele hotel, located in Celle Ligure in Italy, renewed its outdoor thanks to the furnishing project by Punti di Vista from Savona. 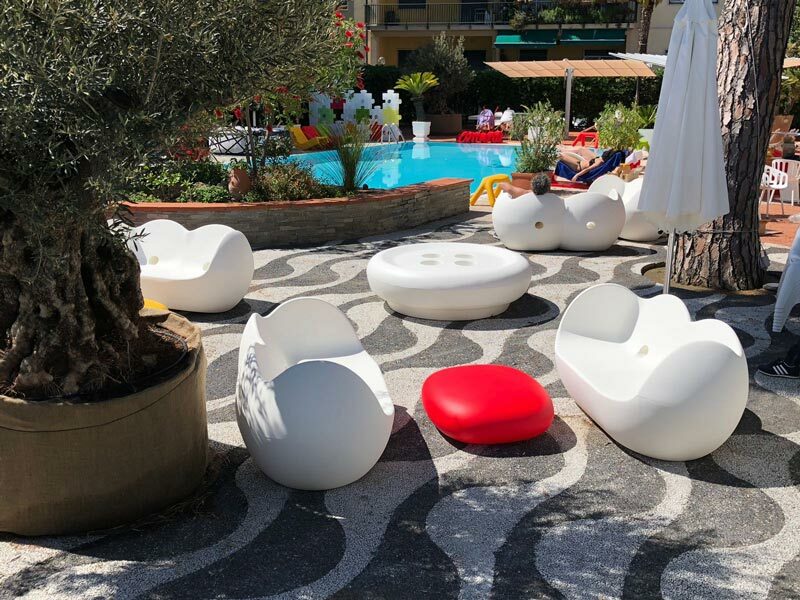 To give a playful touch to the poolside and the garden, the Slide products were chosen in different colours: the main one is the white of Hoplà high tables, Blos collection, Bot-One pouf and Tic Tac chaise-longues. 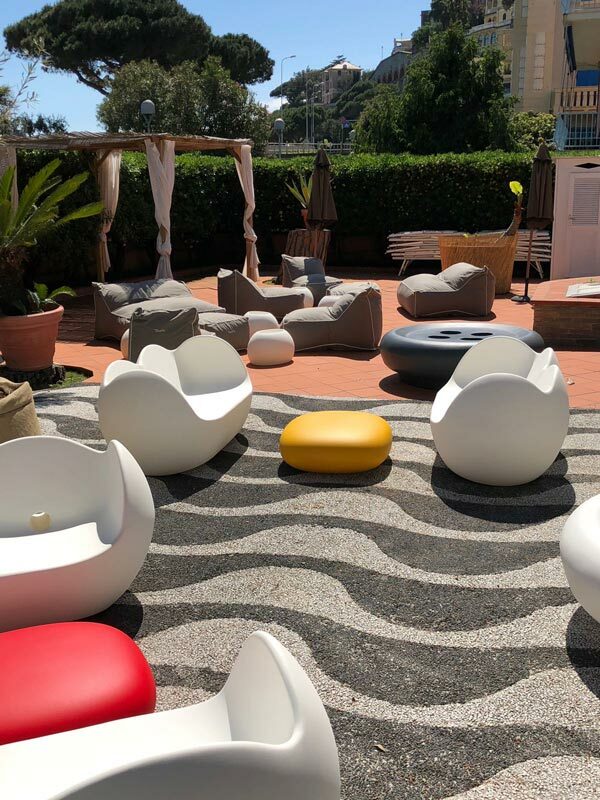 Next to the white products, Punti di Vista chooses the colourful Koncord stool, Amore bench, Gear coffee tables, Twist rocking low chairs, Chubby Low coffee tables and Atlas benches. 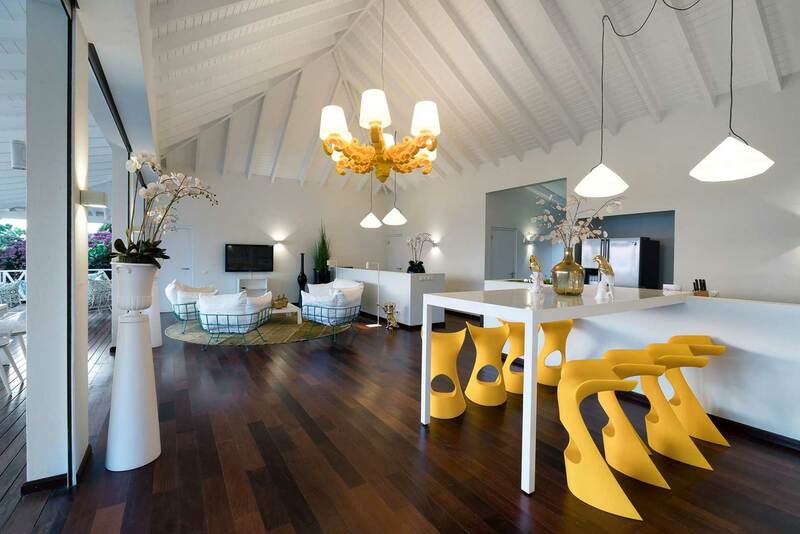 The funny divider Puzzle designes the area between the indoor and the outdoor. 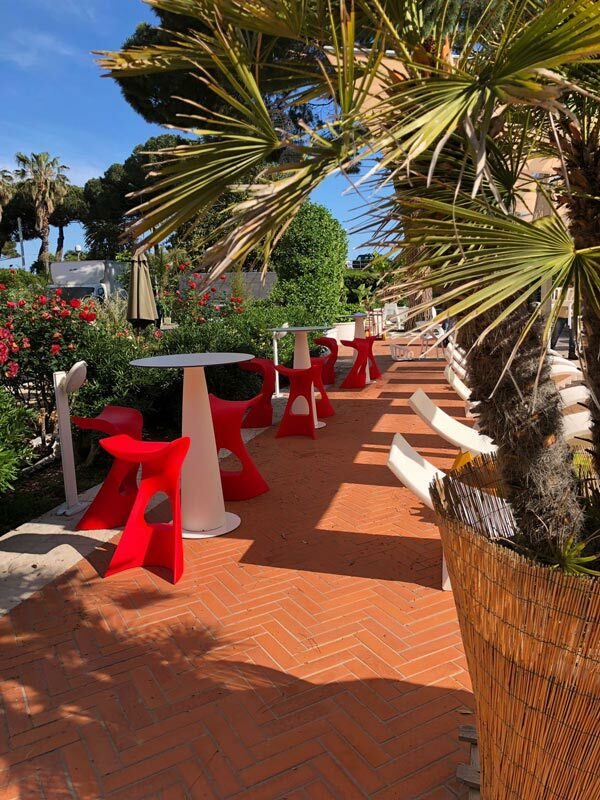 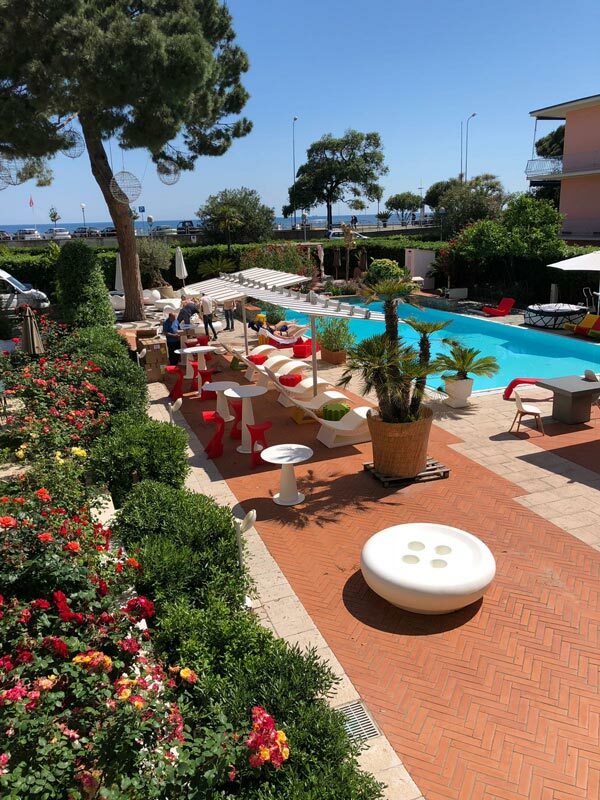 The beatuful garden of San Michele hotel is now ready to welcome its guests during the day, wishing to sunbathe by the pool, and during the warm summer evenings, for those who want to enjoy an outdoor cocktails. 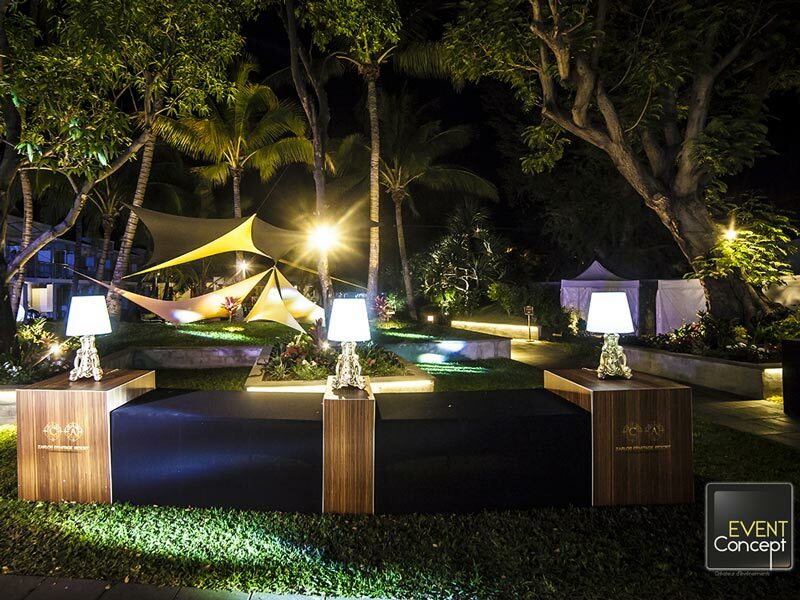 Slide and Event Concept cooperated to create a luxury and unique atmosphere during the opening event of Zarlor Ermitage Resort. 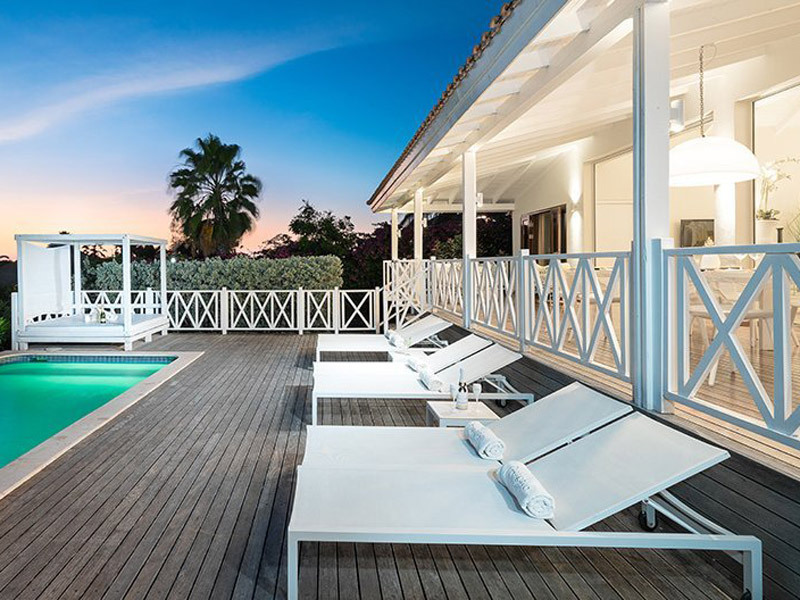 Zarlor Ermitage Resort is a luxury hotel just steps from the Indian Ocean, close to one of the beaches of Reunion Island. 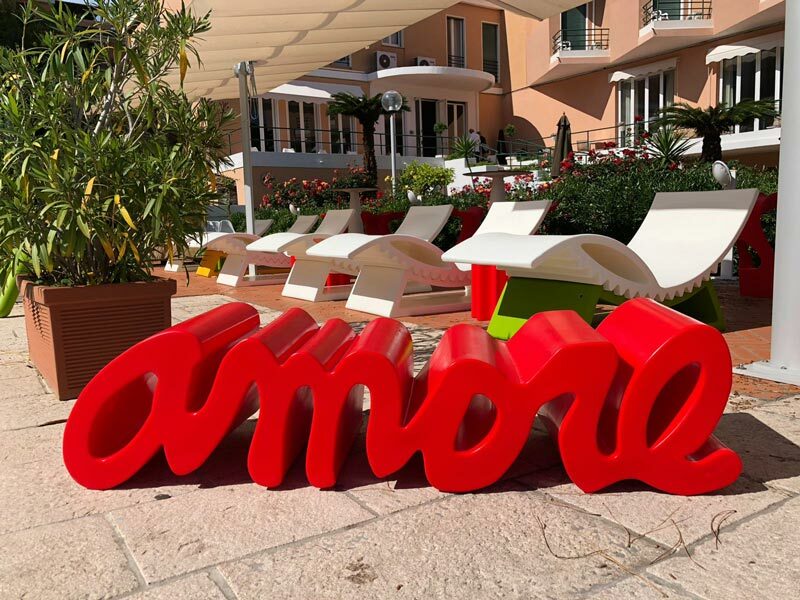 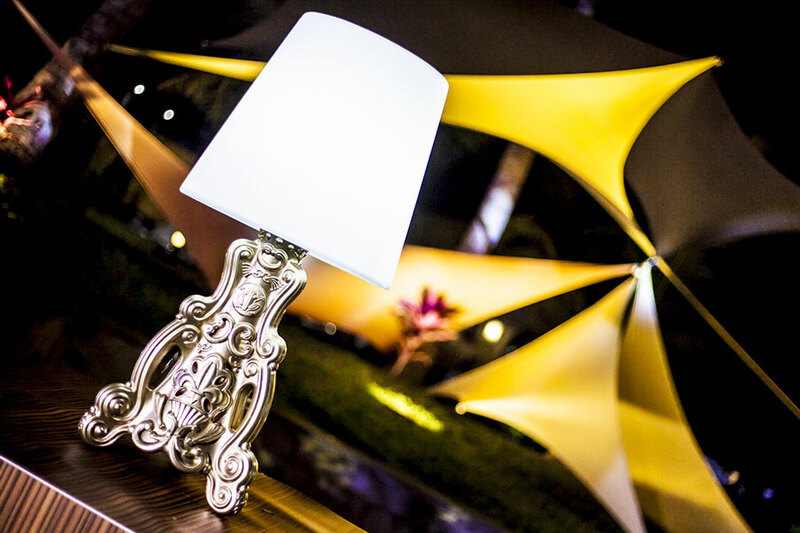 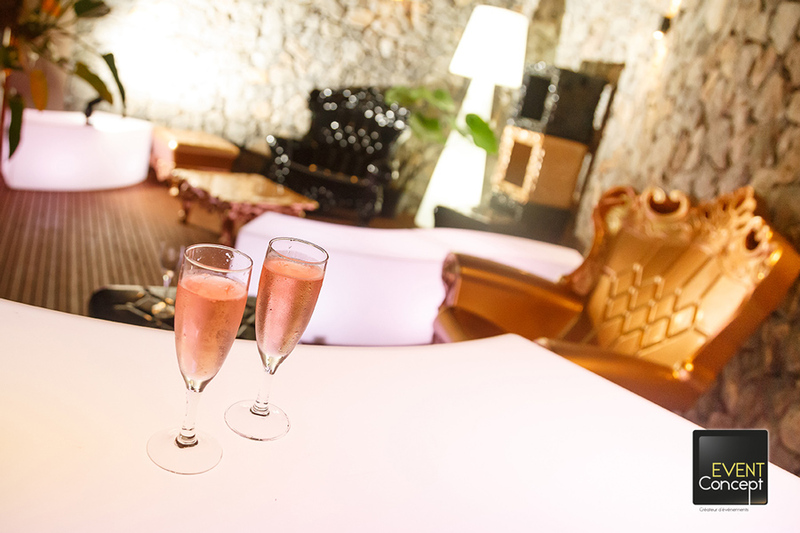 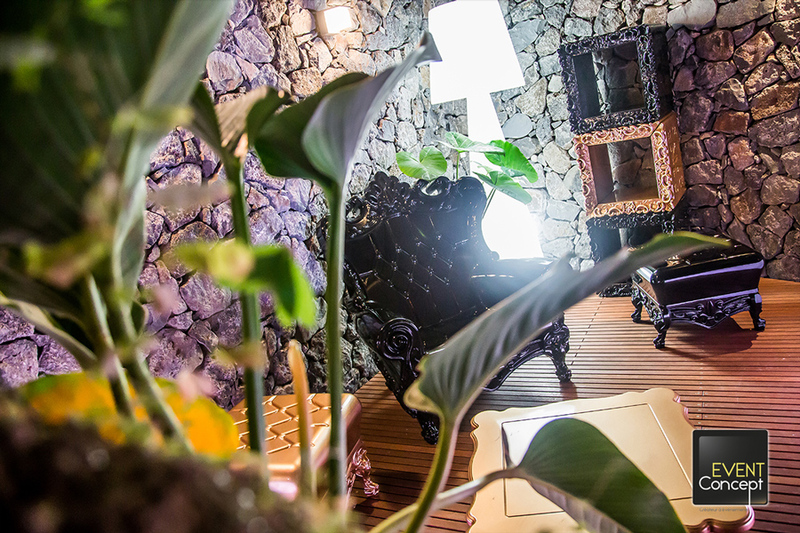 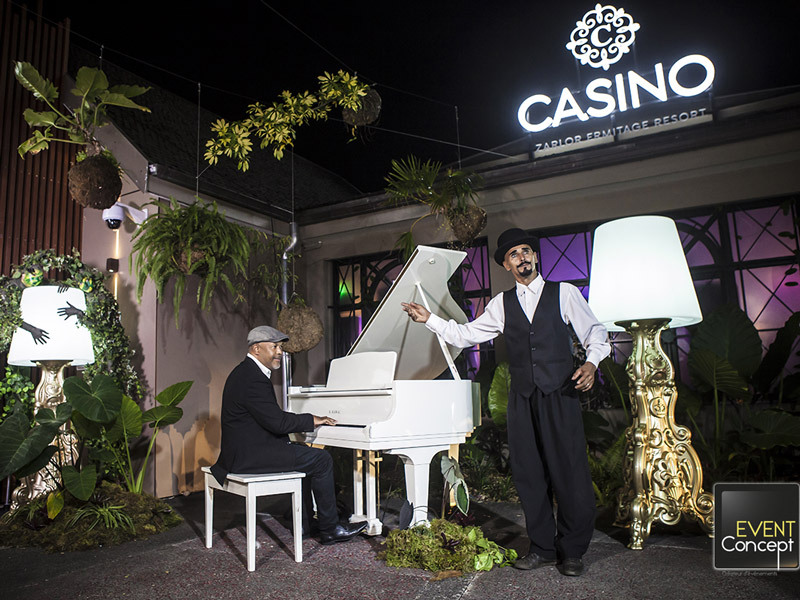 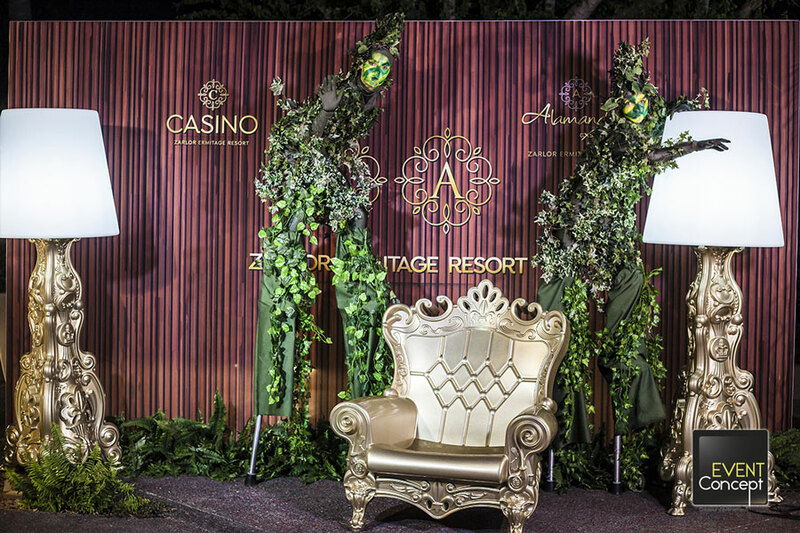 For the opening of the great resort, Slide and Event Concept cooperated to create a unique and unforgettable event: Design of Love collection was able to surprise the guests, thanks to its lacquered version. 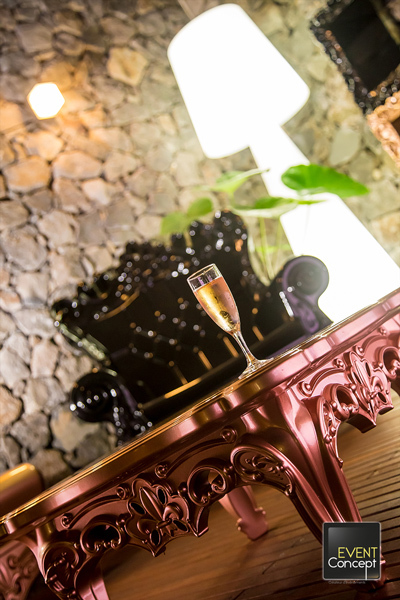 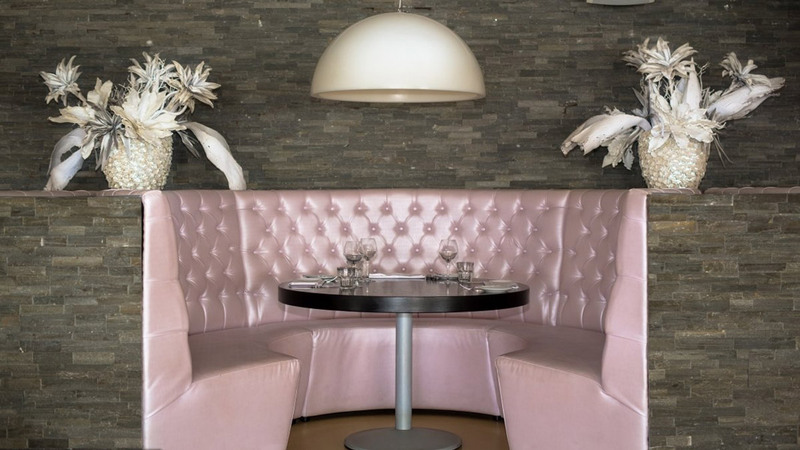 The pop and ironic style that characterizes the whole collection collection makes richer in its gold and black lacquered finishing and the iconic products, as Queen of Love armchair and Madame of Love floor lamp are more brilliant and capable of reinterpreting Italian Baroque style in a more contemporary style. 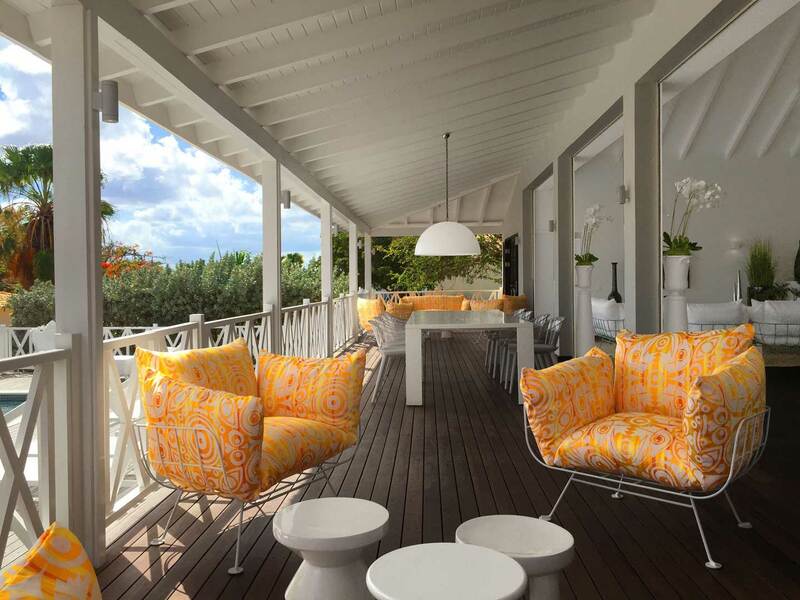 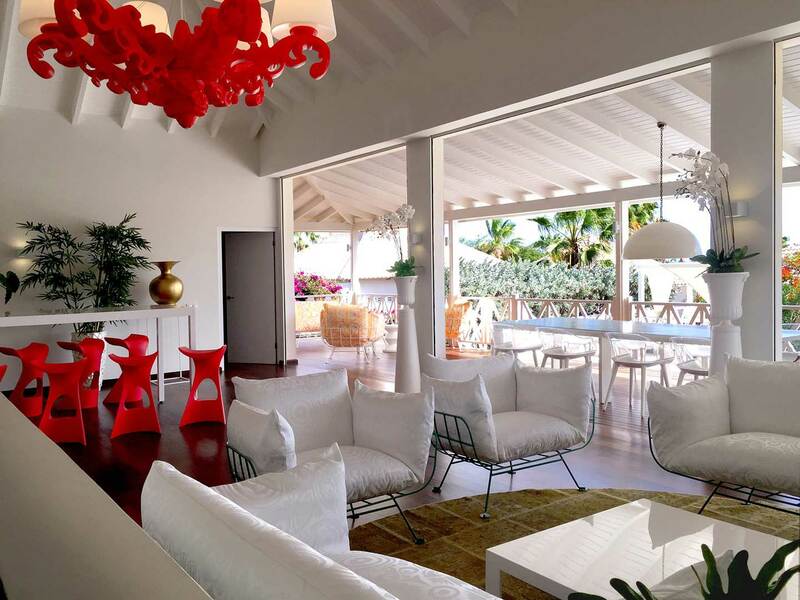 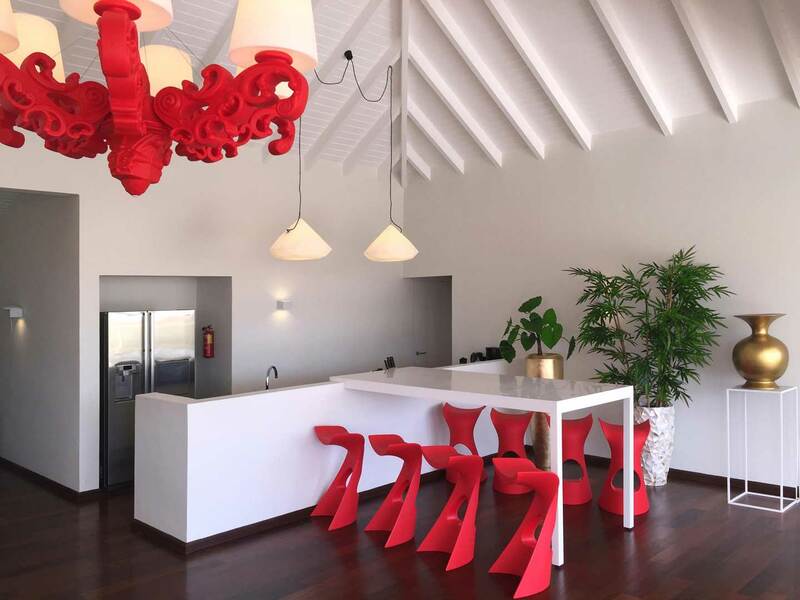 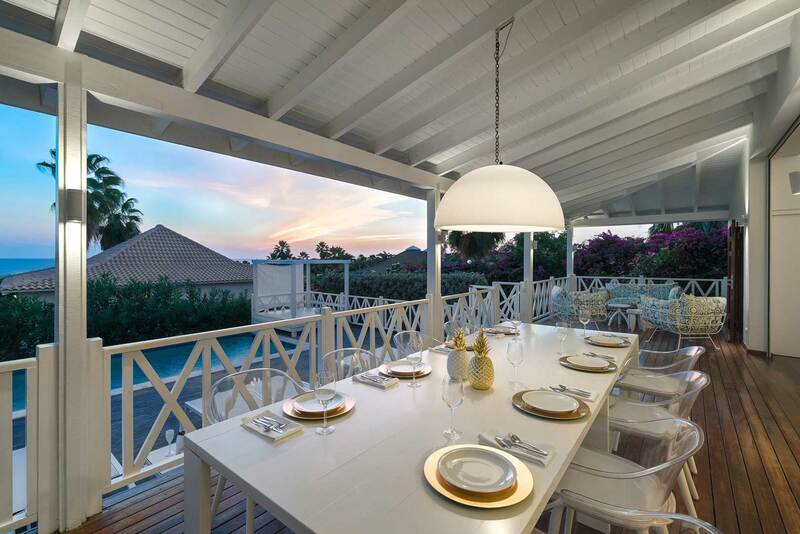 Zarlor Ermitage Resort, renowned for being a jewel in the thick vegetation of the island, has captured the attention of its guests thanks to the presence of Slide's best seller luminous furniture, such as Pivot floor lamp and Snake modular seats, that light up Design of Love products.